Operators of conveyor systems in coal mines or underground mines need to keep their belts as clean as possible. The best results are usually achieved with a combination of pre-cleaners and secondary cleaners. With the FMS, Flexco has a secondary cleaner for medium-duty applications in its range. This is designed such that it achieves optimal cleaning performance together with a long life. The FMS secondary cleaner’s blades are made from corrosion-resistant tungsten carbide. They are therefore suitable for maximum belt speeds of five metres per second and hence for medium-duty applications. A self-adjusting spring tensioning device and the use of vibration dampers which press each blade individually onto the belt maintain a constant pressure and therefore provide thorough fine cleaning. This is also assisted by the narrow, hard edges of the metal blades. The FMS secondary cleaner from Flexco is designed such that it achieves optimal cleaning performance together with a long life. 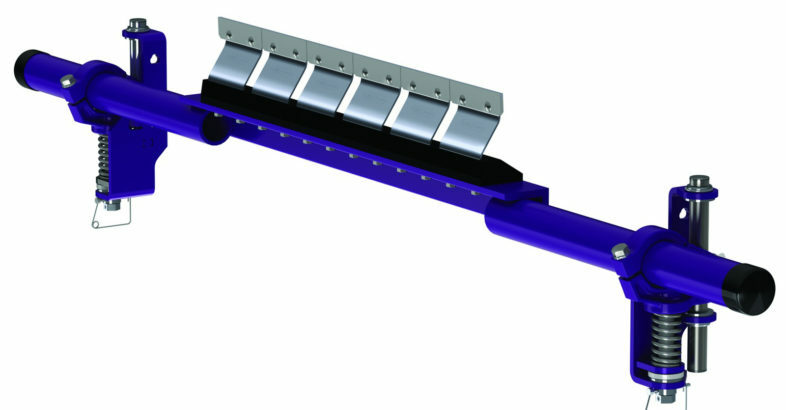 The secondary cleaners are available for belt widths from 450 to 1,800 mm. Flexco can provide other sizes on request. Cleaning blades with C-tips are provided for mechanical connectors. These are impact resistant and equipped with a spring vibration damper. They can therefore be moved to one side by passing joints without incurring damage and with minimal interruption to the cleaning process. V-blades are used for vulcanised belts. Operators can use the secondary cleaners at temperatures from -35 up to 82°C. 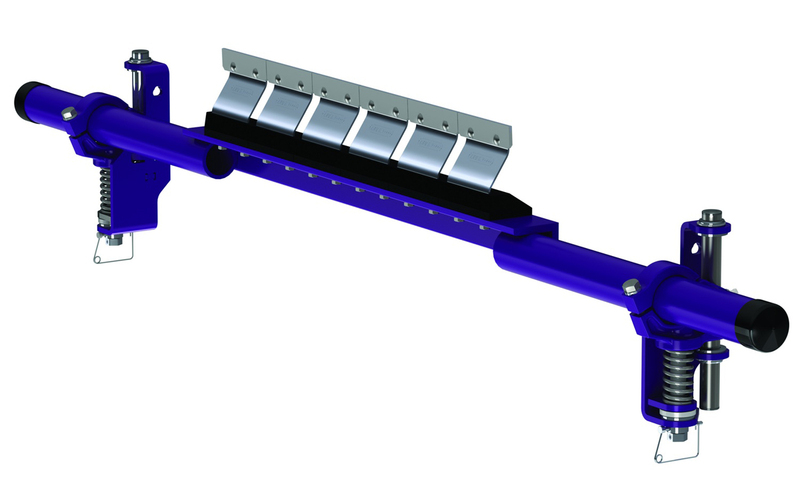 Flexco has also designed the carrier clamping device to make installation and maintenance very easy for the user. The 72 mm diameter pole withstands even heavy loads, and in doing so ensures a long service life. Flexible Steel Lacing Company (FLEXCO), headquartered in Downers Grove, Illinois in the USA, is the leading international specialist for mechanical conveyor belt fastener systems, belt cleaners, belt positioners, impact beds and pulley lagging for light- and heavy-duty applications. With the company’s innovative solutions, endusers can substantially reduce downtime and increase productivity. FLEXCO Europe GmbH is the German subsidiary of FLEXCO, and is headquartered in Rosenfeld, where the company currently has 60 employees.